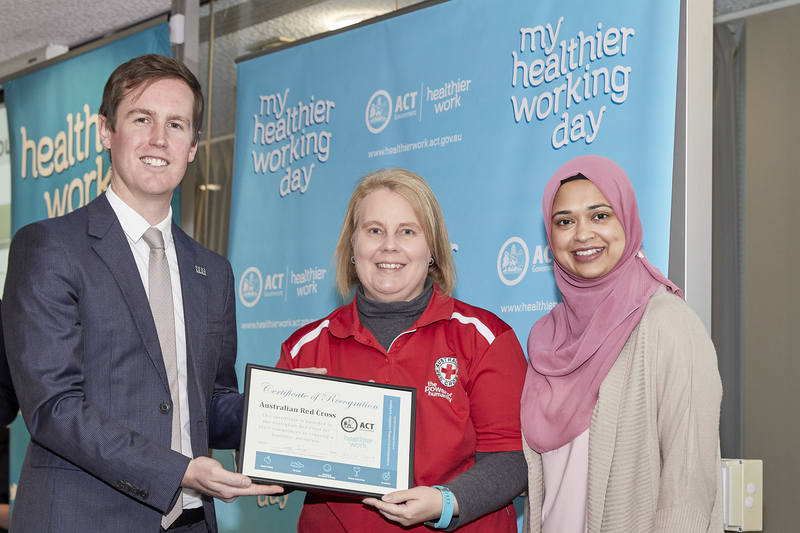 Congratulations to the Red Cross (ACT) for gaining Healthier Work Recognition!! The team will be looking forward to taking part in a variety of activities focusing on social and emotional wellbeing, healthy eating, and physical activity. Some activities/strategies include: a magazine subscription for the break room; taking part in adult colouring during breaks for mindfulness; implementing a health food lunch club once a month; flexible work time arrangements for staff to be physically active; and hosting a seminar with a qualified nutritionist. Congratulations Red Cross! !